from Bob Cantor's National Parks Photo Gallery. See also Everglades and Biscayne National Parks. 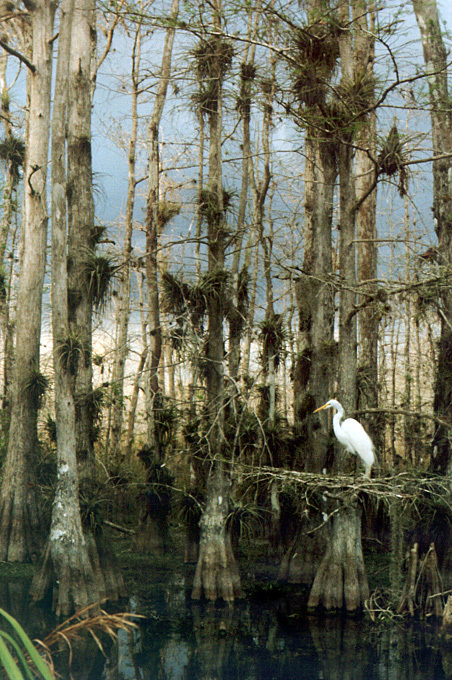 Big Cypress National Preserve borders Everglades National Park on the north. This photo of a Great Egret was taken from the scenic drive. Corkscrew Swamp Sanctuary, run by the National Audubon Society, is near Naples and features a 2.25 mile Boardwalk Trail. Included here are pictures of a Great Egret, juvenile Black-crowned Night Heron, and an Alligator. The Bird Rookery Swamp Trail near Naples and Corkscrew Swamp is maintained by the CREW Land & Water Trust. This Little Blue Heron is a young one which has not yet begun to get its color. The Eagle Lakes Community Park in Naples has about 2.5 miles of trails around several lakes and is an excellent spot for watching birds, such as this Painted Bunting and Limpkin. Naples Botanical Garden features several beautiful gardens and about 1.5 miles of trails through The Preserve. 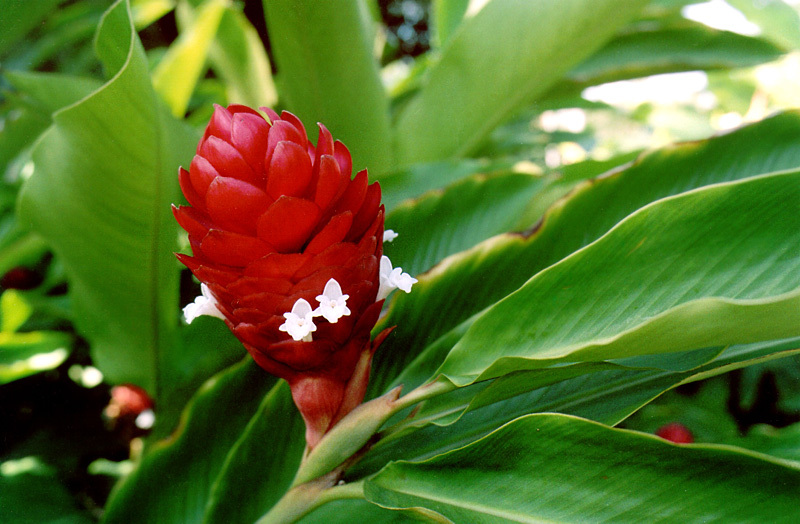 Here we have a picture of the Asian Garden and a Bromeliad seen outside of the butterfly enclosure. Not far from Miami, Fairchild Tropical Botanic Garden has several miles of easy trails through its beautiful collections of plants and flowers. Manatee Park is a nice little park in Fort Myers where Manatees gather in winter because of the water discharge from a power plant. Although the manatees were hard to get picture of, this Cattle Egret seemed happy to pose for me. With all of its beaches, Florida is a great place to watch sunrise or sunset. These examples were all captured on Captiva Island.